Bad Credit or No Credit… What’s Worse? We’ll all met that occasional person who loves to make it known that they have no debt whatsoever. In fact they don’t even own a credit card, have no car payment, and have never needed to borrow money. Yes, it’s rare, but it does happen! Usually, it is a younger adult who primarily pays cash for things they need, has a bank account and a debit card, but has never really needed to establish any credit. Amazingly enough, when a credit report is pulled, these people can literally have no credit score. 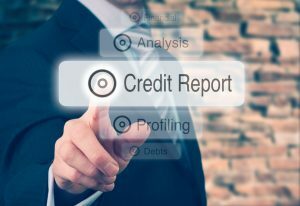 There truly is not enough credit history to generate a rating with the credit bureaus. This can cause quite a problem when the person sits down with a lender and wants to obtain financing for a home. If you have bad credit, at least there is something there for a bank to evaluate and measures that you can take to repair the bad credit and begin building good credit. Don’t get me wrong, bad credit isn’t ideal, but at least you’re on the map. No credit, on the other hand, means that you are a big guessing game to a lender. They have no way of evaluating your risk and many lenders will not consider borrowers without sufficient lines of credit established. A secured credit card is a good way to start or perhaps a car loan where a parent co-signs with the child. Many banks also have credit card programs for teenagers and young adults, you just need to inquire about it. If you see yourself purchasing a home in the near future and are worried that you may not have sufficient credit established, feel free to give me a call and we can set you on a credit path that can lead to home ownership!